Try me. Of course, neither of us has offered one another our definition of 'liberal', which should be the starting point. For me, the primary theme of Dylan's pre-1964 folk material was justice. His songs display a strong consciousness of right and wrong and the systemic societal structures that generated injustice. If, by liberalism, one means an ideology based on Marxist dialectics, I disagree that those songs of Dylan's are 'liberal' in that sense. Songs of underdogs and (mostly British) injustice have been commonplace since time immemorial here in Ireland and the notion of liberalism would have been unknown. Not to mention that Dylan was quite influenced in his songwriting style of the time by The Clancys and various Irish rebel tunes. Um....yeah. By liberal I meant generally left-leaning. There has been a lot of revisionism - some of it by Bob himself - since those heady 60s years, but there is no mistaking the overall socio-political bent of not just the early 'protest' songs but the more complex work that followed. Anyone who denies that is either a contrarian or just doesn't understand. Of course, Dylan was far too clever too allow himself to be pigeon-holed, and he was never the political firebrand some fans wanted him to be: again, he is much too complex for that. Nevertheless, the fact remains that Dylan's work has long displayed a liberal bias. One of the best epitomes of his attitude, for what my two cents are worth. I've saved it into my Dylan scrapbook. Yes, I agree. It's almost impossible to sum up anything to do with Bob in so few words. This is close. This is good. "they have more liberal views toward marriage and divorce than some people"
(of education) concerned mainly with broadening a person's general knowledge and experience, rather than with technical or professional training. People who try to apply this word solely to politics are the same people who try to demonize open-minded, caring people by equating them with with notorious, Communist figures from the past. Neither Fielding or myself were the ones who introduced politics into this thread. We were both just responding. There is a political section on this site, which is more appropriate for these debates, for us all. Agreed. Just seemed like we were headed in that direction. That said, it's the umpteenth masterpiece from 70's Dylan. Were it a new song, I'd rank it his best since Jokerman without any shadow of a doubt. Wow. You are hearing something that I'm not hearing. It's an interesting listen but throwaway and far from a masterpiece. Wouldn't trade it for anything off Love and Theft, Modern Times or Tempest. I was with you until you threw in tempest... this song is better than all of those. I keep going back to it and can now officially say I love it. That hasn't happened in a while with this guy, so I'm glad I'd never caught wind of it till now. I like it, better than most of the gospel stuff anyway. Also like the new version of Every Grain of Sand. The fact that both are on spotify and neither are on the two disc set makes it more likely I'll be skipping this release altogether though. Won’t skip this release. Uh-uh. Just listened again. Great song! It does get better and better. There's a strange thing that happens in good Dylan songs, individual lines that might not seem to fit together develop over time in the imagination into skeletons of structure and meaning. It's still early in the process for me, but just having a song like this to grow into is a treat. It's a great vocal performance, too. Even liking the ‘Can’t Always Get’ guitar licks in there more now. Well, they are good licks, after all. It might be another masterful internal dialog, a little early to say much except "WOW". I finally bought the $120 Trouble No More and started listening today. You're the only one that seems to have gotten this song right. It is obviously Dylan talking to Dylan, the saved, alive, spiritual self to the dead lustful selfish flesh. Every Christian could write such a song if we only had the talent, for we all surely have the dual natures vying for preeminence (and therefore a similar internal dialogue). What a contrast to the conviction of Ain't Gonna Go to Hell for Anybody! But that's the reality for all Christians, and why only Christ's righteousness saves. That's another perspective I must consider, next listen, although I have always interpreted the song as Christ being the narrator. Perhaps you mean in the sense that those who carry Christ's Spirit are not always walking in His Way? I'm curious to hear more from you on this. Perhaps the simplest way I can explain it is to read the lyrics and imagine that it is Christ directly reciting them. The 'people' He's talking to might be the blessed in Heaven, or even the other two Persons of the Trinity. The reference to 'some old-time used-to-be' I interpret as Lucifer (also beautiful when he was living-these lines may be a precursor to Dead Man, Dead Man). I get the sense from the song that Christ has interceded, probably most particularly with His Father, on behalf of the human race-I very much take the 'you' as a plural-but we have let Him down, hence the use of the vernacular expression 'making a liar out of me', which in Ireland does not have the literal meaning, but means 'proving me to have been mistaken'. In other words, I take this song as a true epic. I hope this makes sense, but if you have any further questions, I'll try and explain further. I get you, Mickvet. I'm still considering your POV, especially in the lines, "And your young men die for nothin' not even fame. I say that someday you'll begin to trust us." "Us" may certainly apply to Elohim/the trinity, but it could also be the Spirit of God witnessing internally to Bob-in-the-flesh. "Your young men" also would fit your idea of Jesus Christ addressing all of humanity, but it also suits my idea of internal dialogue if "your young men" refers to Bob's disciples, i.e., all those he is witnessing to. 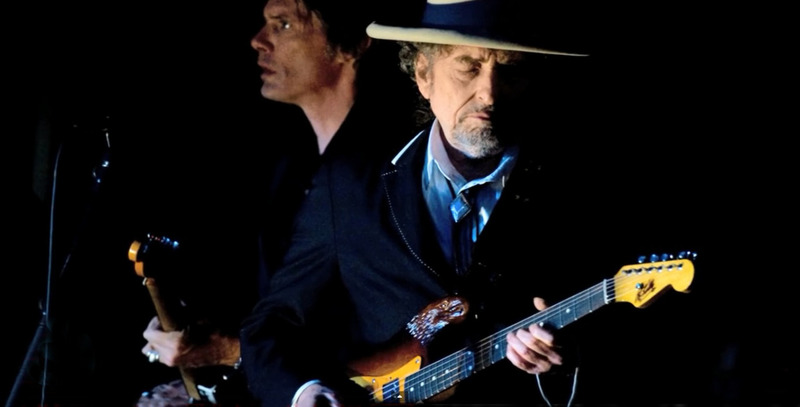 So much of the song seems to me to be saved Bob Dylan talking to "dead" Bob Dylan, the flesh which wars against the Spirit Christ caused to dwell in us. and what the Spirit wants is opposed to what our human nature wants. These two are enemies, and this means that you cannot do what you want to do. I would point out that Dylan had long abandoned 'discord' and 'the discontented' (unless you include Carter and Gallo) and had addressed this fairly conclusively in songs such as My Back Pages, well before he wrote this song. On the other hand, Dylan at this time was certainly emerging from a 'fool's paradise'. So, such an interpretation could stand. After all, Dylan is dealing with Mystery here and this is something which, by its nature, cannot be nailed down. I think this is why Dylan is such a great exponent of these issues. Some people say that he's a songwriter, but not a poet, but I'd argue that his songs are poetic in quality. This is in contrast to his attempts at actual poetry which always failed. In order for Dylan to provide us with the function, method and outcome of poetry, he has needed the discipline, limits and boundaries of the song-writing idiom, just as practically all great poetry has needed the same limiting and bounding structures-free verse is too prosaic and makes the fatal error of assuming language can be deployed to describe concepts which are beyond linguistic description. Poetry's function is to hint, insinuate and suggest mysteries that prose cannot approach. I think Dylan achieves just this in his song-writing. He touches with his finger-tips, glances upon mysteries. Inevitably, there can be no certain definitions or interpretations, nor can the viewpoint of the reader/listener be discounted. In short, Dylan's songwriting usually operates on at least more than one level and this great song is certainly such an example. More bluntly, both of our interpretations are reasonably valid. Your analysys sound thorough to me: I have read them with pleasure and I've attentively considered your hints. Still, as banal as it may sound, I still can see no other option but the new-born Dylan speaking to his audience; as he used to do in those days' raps. You're getting it all wrong, mates; you're going the wrong way. But you still don't understand where truth is and so you think the liar is me. There are three opinions, firstly that Christ is the narrator talking to His Father, secondly that Dylan is talking to his old self and thirdly that he is talking to his fans. All three share one common theme: this song is an admonishment and a devastating one, whoever the target.